23-year-old Israeli man stabbed to death by Haitian immigrant in Brooklyn during dispute over double-parked car. Suspect in custody. An Israeli man was killed and his brother wounded during a dispute over a vehicle which had been double-parked in the Bergen Beach neighborhood of Brooklyn early Monday morning. 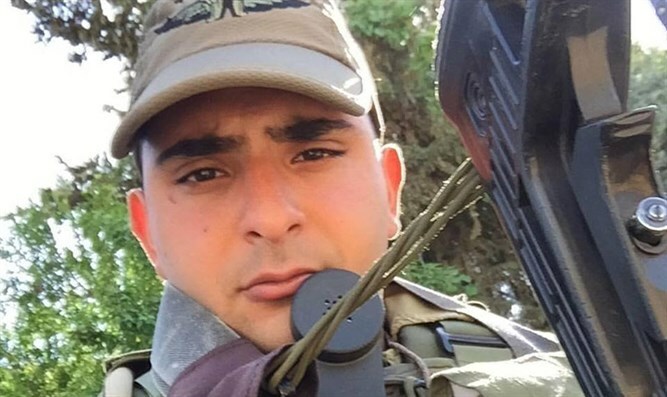 Omri Dahan, a 23-year-old IDF veteran, was stabbed to death and his brother, 29-year-old Ayal Dahan, wounded during a dispute with a Haitian immigrant who had double-parked, blocking Ormi and Ayal’s car. The suspected murderer is 41-year-old Djems Jean-Paul, a Haitian immigrant living in Elmont. Police say the tragic incident began late Sunday night after Ayal Dahan found his driveway blocked by Jean-Paul’s car, which had been illegally parked in front of the driveway. Neighbors say Ayal Dahan honked his horn for 10 minutes before Jean-Paul came out. When Jean-Paul finally came out, Ayal Dahan yelled at him, demanding he move his car. “As soon as the guy came down to move the car, the Jewish kid got out of the car and started yelling at the man, saying, ‘Move your effing car,’” Zawacki said. Jean-Paul then struck Ayal Dahan, and a second Haitian man came out to join Jean-Paul. At that point, Ayal went to his house and asked his brother, Omri, for backup. As the fight escalated, Ayal struck Jean-Paul with a children’s gate, while one of the Haitians threw a bottle at Ayal. Jean-Paul then removed a knife from his car and stabbed both Omri and Ayal Dahan. Omri Dahan suffered stab wounds to the chest, while Ayal was stabbed in the arm. “There was a lot of blood on the sidewalk. It was crazy, it was horrible,” Zawacki said. Omri was evacuated to Beth Israel Hospital just before midnight, but was declared dead by 12:30 a.m. Monday morning. Police say Jean-Paul fled the scene of the crime and attempted to flee the country, but was apprehended by authorities. He has been charged with manslaughter, assault, and possession of illegal weapons.